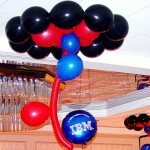 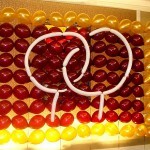 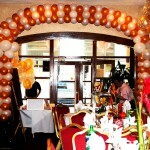 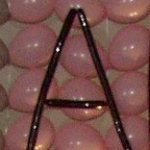 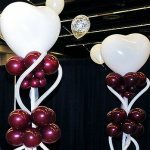 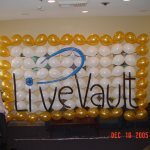 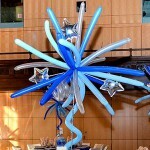 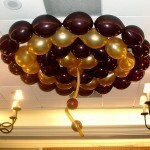 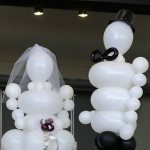 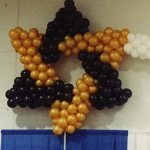 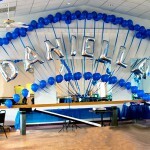 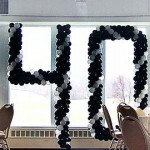 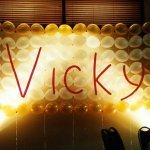 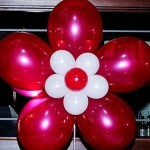 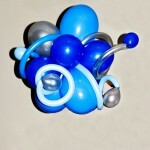 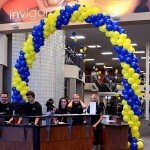 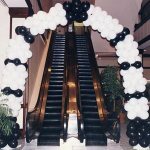 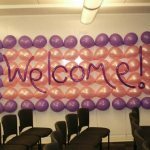 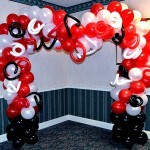 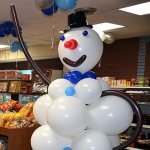 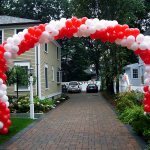 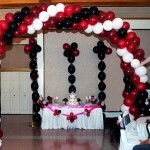 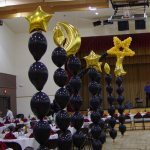 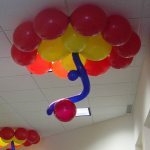 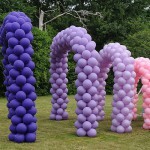 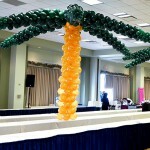 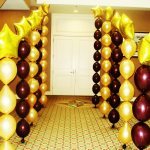 One of many vertical type balloon centerpieces. 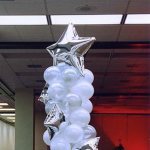 Very effective in the rooms with relatively low ceilings - creates an impression that ceiling is somewhat higher than it is. 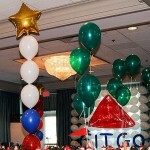 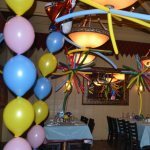 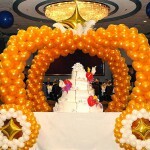 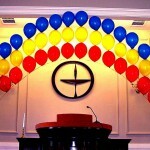 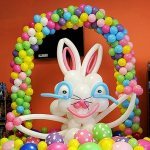 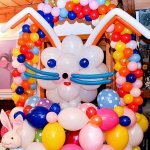 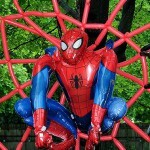 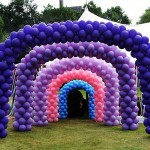 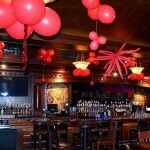 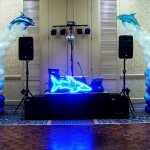 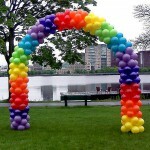 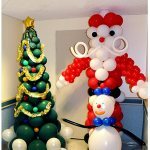 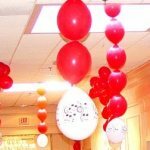 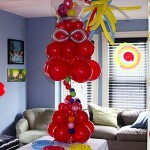 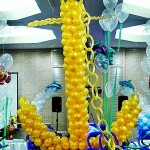 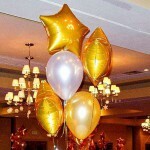 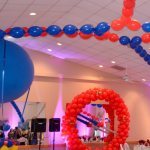 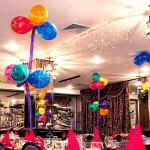 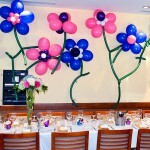 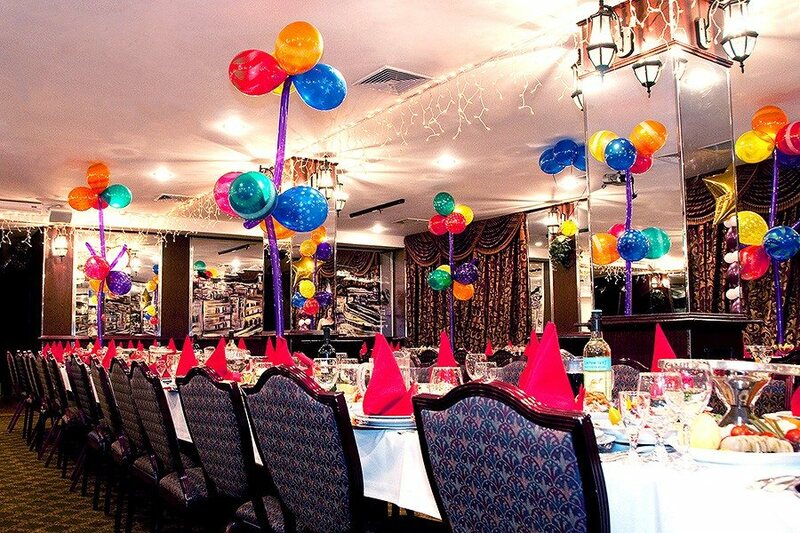 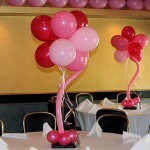 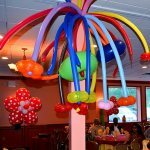 This particular centerpiece is for kids birthday, so the colors and type of balloons are to match the occasion.